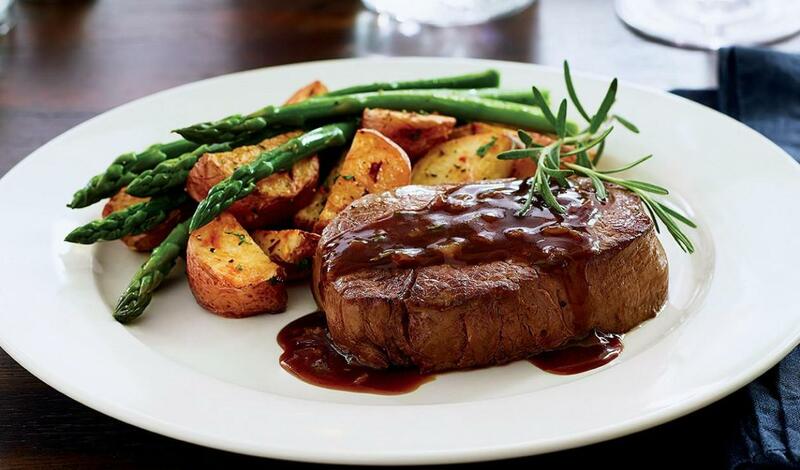 Pan seared filet mignon is enhanced by a traditional sauce with caramelized shallot, garlic and rosemary for an elegant plate that pairs well with roasted potatoes and asparagus. Season the steaks and pan sear to desired doneness. While the steaks rest, add extra virgin olive oil to the same saucepan over medium heat. Add shallots, garlic, and rosemary and cook until the shallots are heated through and the garlic has softened, about 3 minutes. Top each filet mignon with 4 oz. of the sauce. This filet mignon pairs well with roasted potatoes and asparagus.